When it comes to business, you’ll often find that you never really have enough time to get everything done that you want to do. From trying out exciting new marketing tactics, to spending more time getting to know your customers, there are definitely a range of things that tend to get pushed to the bottom of the pile. One of those is definitely the idea of hosting an event. When you first start your business, this may be one of the things that you want to do right away. But it can easily get forgotten about as things get underway. So, when you do finally get to make the time for your event, you’re probably going to be excited about getting started. To help you, these tips should get you setup right. The first thing that you’re going to need to do is to find a venue. Because without having your venue secured, you’re not going to be able to plan much else very well. Things like your caterer can’t be booked until you know where you’re going to host your event. So start the search for a super cool space early. You’re also going to want to make sure that you source a space with a suitable capacity, the facilities that you need, and even in the right location. When your venue is secured, you can then start to think about how you’re going to decorate it. And as much as you might like to have a lot of fun with this (and you should), remember that this is a business event. So, that means that you’re going to want to think about putting your branding in place. From name badges to banners, you need to get the right marketing material for this. But also make sure that it venue looks nice and fit for the event’s purpose, whatever that might be. Now you can start to think about inviting your guests. Not only does this mean that you need to write up a guest list, but you’re going to need to get some corporate invitations together. Try to keep your style in line with the theme of your event – the more exciting the better. Because then your guests will look forward to the event. Then you’re going to want to make sure that you pull out all the stops when it comes to your entertainment. Whether you’re having a formal sit down dinner of a team building day, the entertainment matters. So don’t scrimp here. 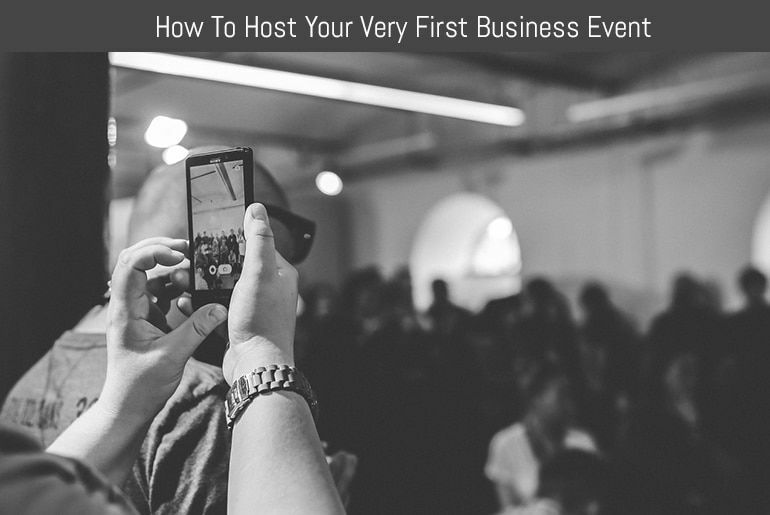 Now, above all else, you need to make sure that you get the most out of your business event. And if you are doing something for customers or prospects, that means getting your lead capture right. Because if you’re going to get results, or achieve something off the back of your event, you need data. Work out how you’re going to capture it before you get to the event, and have plans in place to make sure this goes off without a hitch. That way, you’ll be able to follow up after the event and be sure that it’s a success.